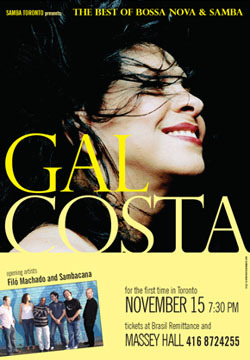 Ticket Information - click here. 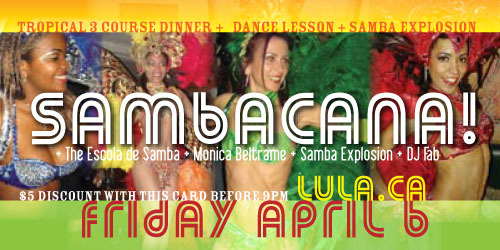 Come Celebrate Spring, Brazilian Style! This is coupon is worth $5 off at the door. Dinner reservations guarantee seating. 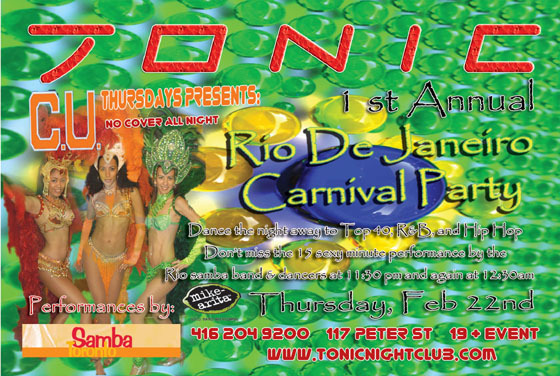 Get ready - here comes Carnaval!! 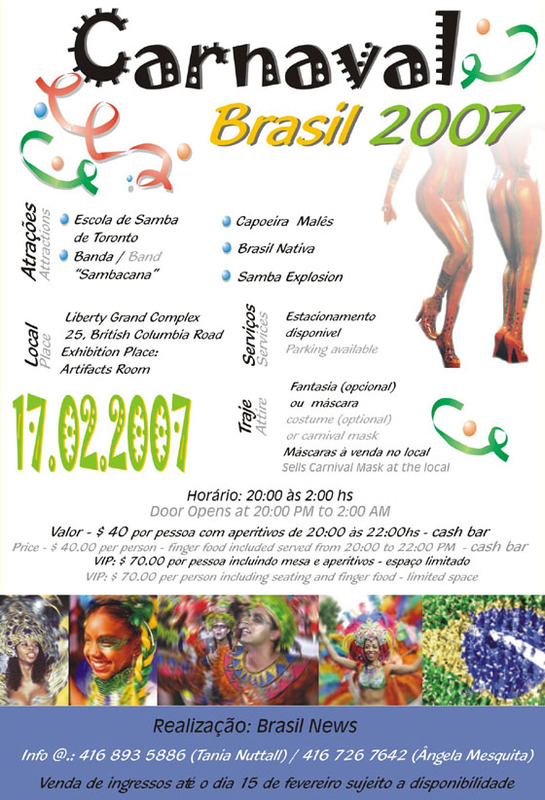 The Brazilian community�s big bash. Tix sold out for this one last year. 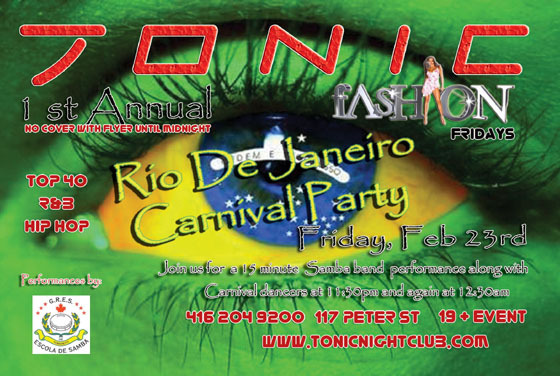 The downtown urban club scene Carnaval. Not to be missed! 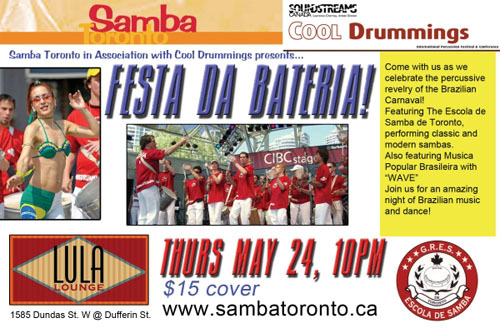 Escola de Samba de Toronto. Rooted In The Brazilian Spirit. © 2004 - 2015. All Rights Reserved.